Well, I've purchased my second Kimber. It's a Super Carry Pro HD. I bought it used, so I had it checked out and everything looks good in it. I replaced the factory grips with some white/grey G10 grips from vz grips. I also have the Wilson Combat flat wire spring ready to install in it. It is currently at the gunsmith getting a Wilson Combat trigger and replacing some of the mim parts. Can't wait to get it back and to the range. 46QJI, Jflytle, DaVinci and 3 others like this. 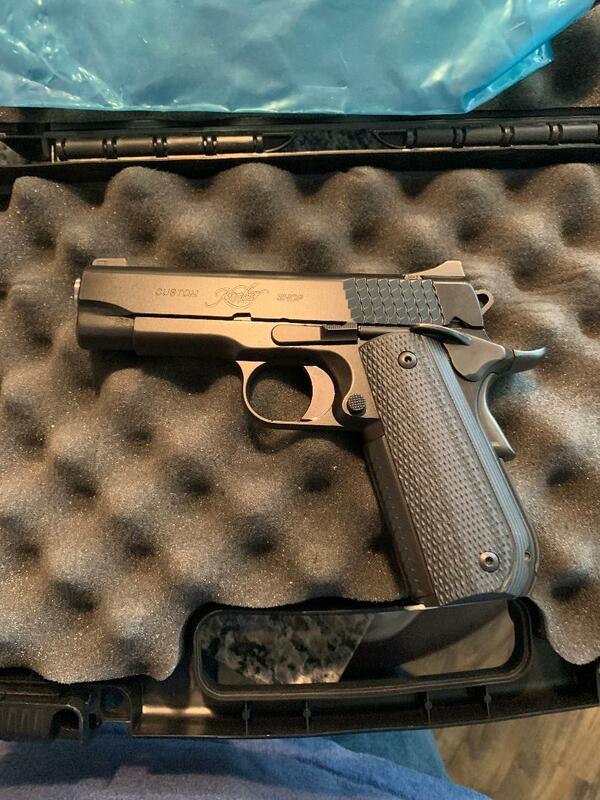 I actually went to the store with the intention of buying the Smith and Wesson Performance Center 1911 but didn't want to part with $1500. I picked the Super Carry Pro up for $999 plus tax. I would have fired it as is before making any changes but anyway congrats on your new to you Super Carry. Pro Carry II .45 ACP...and a bunch of other stuff. "If you want peace, prepare for war." 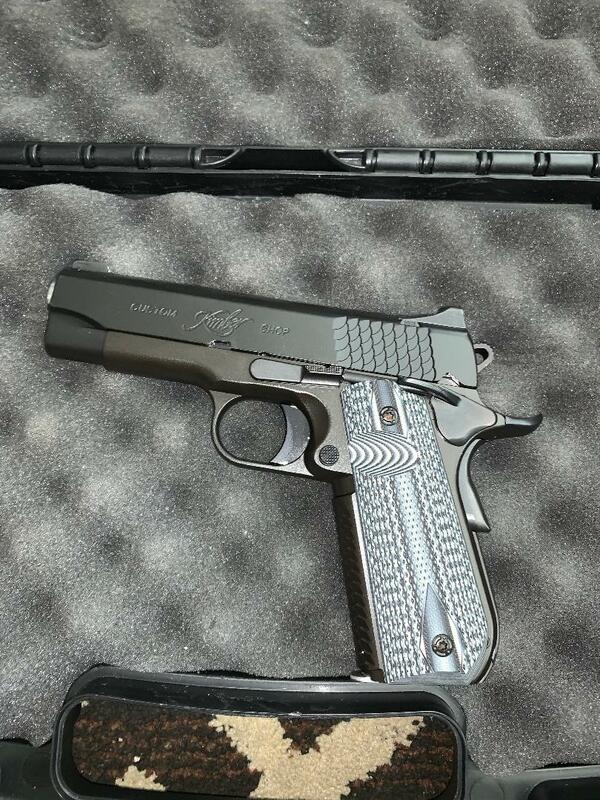 S&W PC 1911s are pretty nice but why do they have to put so much writing on them. I like the one that’s stainless, has the blue grips and the ported slide. Last year a guy on GB had a new one listed for $999 which was a steal. I should have bought it for that price. Welcome! I've got the same gun in a 5", love it. "With the first link, the chain is forged. The first speech censured...the first thought forbidden...the first freedom denied — chains us all, irrevocably."